Bear Douglas is a Developer Advocate at Slack, where she and her team help developers build more pleasant and productive ways to work. Before Slack, she led the Developer Relations teams for the mobile and data platforms at Twitter, and worked on native mobile DevRel at Facebook and Parse. Before that, she was an archaeologist, but that's ancient history. Sean Ottey is an advocate, an entertainer, a presenter and an http://Evangelist.ninja. He is also a public speaker and panelist, focusing on Social Media and the impact of the internet on branding and business. Having been a developer for 20 years and a comedian for 10, he fuses his two passions by connecting with people about the world of tech. Presenting - "Adapting Your Strategy Alongside Your Community"
AJ Glasser is a Senior Business Developer for mobile games at Unity. In a previous life, she was a games journalist for Inside Social Games, Kotaku, and GamePro Magazine. Presenting - "Feedback is a Gift"
Tia Over is vice president and chief strategy officer at The Mathews Group, a strategic communications agency specializing in public relations (PR) and communications training. Tia provides leadership on account strategy and heads up the Lockheed Martin corporate engineering portfolio and National Engineering Forum accounts. She joined The Mathews Group in 2010 and has helped the agency double its number of practitioners and grow its client list to include Fortune 100 companies such as Honeywell ACS, Phillips 66 and Lockheed Martin. Prior to The Mathews Group, Tia spent five years supporting a Microsoft enterprise software account at the global PR agency Waggener Edstrom (now WE Communications). She also served as a White House appointee at NASA Headquarters in Washington, D.C., where she created an internal communications strategy as the agency prepared for the Space Shuttle Return to Flight following the Columbia disaster in 2003. Tia lives in the Seattle area with her husband, two children and their beloved Shiba Inu. 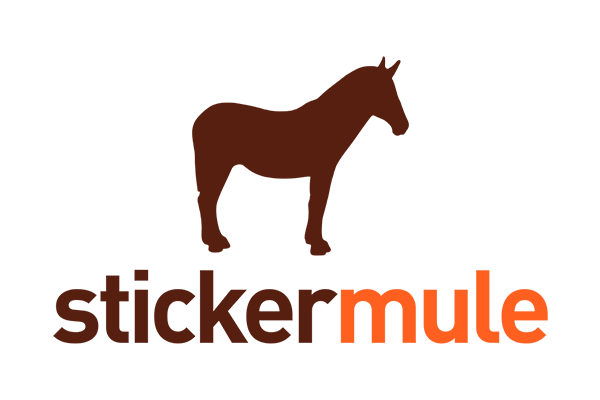 Presenting - "Five Top Tips for Tech Talks"
Justin Dorfman is Sticker Mule's Director of Developer Relations and is responsible for championing the needs of Open Source developers. Previously, Justin worked as an Open Source advocate for MaxCDN. Justin started BootstrapCDN in 2012 and is heavily involved with the FOSS community contributing to Bootstrap, Font Awesome, Grunt, FSF, jQuery Foundation, Twemoji, Nginx & GNU Bash. He also serves on the Selection Committee for Mozilla's Open Source Support (MOSS) program as well as the Glucosio Foundation's Advisory Board. Presenting - "Communicating with Developers in the 21st Century"
Linda Xie is the Product & Growth Manager at Sourcegraph, where she and her team build products that address the biggest challenges developers face today. Previously, Linda worked at Facebook and RelateIQ where she did Software Engineering and Machine Learning. Now, she leverages her technical background to build products for developers and connect with developer communities. Presenting - "The Product & Growth Cycle"
Based in London, Daniel Appelquist built and leads the Developer Advocacy team for Samsung Internet https://samsunginter.net, the mobile Browser. He also co-chairs the W3C Technical Architecture Group https://w3.org/tag, a steering group for web standards. Presenting - "Developer Advocacy for the Open Web"
Angel Banks specializes in UX strategy and design for enterprise, finance, healthcare, and biotech applications. She currently works as a UX designer. Angel has a background in front-end development, project management, operations, and product management. Active in the Atlanta tech community, she is Co-Director of Women Who Code Atlanta, Co-Organizer of ngATL Angular Conference and a UX and Coding Mentor at General Assembly. Co-Presenting - "Creating the Most Diverse and Inclusive Conference"
Alicia is the first woman of color mobile developer to create a domestic violence app (PEVO) dedicated to helping victims escape abuse. She used her acquired skills as a developer to make a difference. Alicia is also Director of Women Who Code Atlanta she dedicated to empowering women in tech with Women Who Code, she knows that it the future and an opportunity. She has received major acknowledgment from Apple at WWDC15 and WWDC16 you could find her on the Apple new beginnings video. Hosting - "Diversity in Tech Q&A"
Kyle is a software architect & evangelist for his start-up Phisionary as well as the founder & lead organizer of the Google Developer Group (GDG) in Kansas City. In his free time he enjoys building & hacking on the web, playing with his two cats, and photographing the outdoors. Presenting - "DevFest Success: How to grow a thriving community (even in ‘flyover country’)"
Robert is a strong believer in the Open Web, and has been working since 1999 with Front End development in Sweden and in New York City. He's currently at Google, being the Global Lead for Programs & Initiatives, Web Developer Relations. He also loves to travel and meet people. Robert has presented in 42 countries, and holds claim to the title of most well-travelled speaker on Lanyrd. He is listed by Twitter as one of 23 Swedes to follow and 5th best developer in Sweden. Presenting - "Have You Tried Listening?" Charles has worked on web content management systems, sites and browsers since 1999. For the last 3 years, his mission has been to transform how web developers perceive Microsoft. Outside of his day job, Charles is passionate about teaching mindfulness and meditation both inside and outside of work settings. Charles lives in Seattle with his wife, 2 delightful girls (8 and 10), and a ludicrously cute little dog. "Windows into Building Microsoft Edge"
Damon works in many areas of interactive 3D and has been active in virtual environments and the 3D web for almost 20 years. He is actively involved with the 3D web’s convergence with other technologies including IoT, GIS, CAD/BIM/CAM, AR/VR, and mobile. He is currently at Samsung Research America making the web browsing experience awesome and enhanced with WebVR. Damon is co-organizer of several tech focused meetup groups and as founding team member of the Augmented Reality Developer Camps, VR Hackathon, & founder of the AEC Hackathon, he is actively working to help grow the use of innovative technologies. Presenting - "Building Community & Hackathons"
Beth grew-up in online journalism, working with newspaper companies in Atlanta, GA, San Jose, CA and Saint Paul, MN with a detour to work for an internet start-up, Infonautics, in Philadelphia, PA along the way. After leaving the world of newspapers, Beth worked as a project manager for organizations focused on news and technology. In 2015 she transitioned into software development with the help of a full immersion bootcamp. As one of the directors for Women Who Code's Atlanta chapter, Beth works to create great programming and build community for the amazing women in technology of Atlanta. She is passionate about making technology a welcoming community for everyone and breaking down barriers. Beth works in at Turner in software development on a variety of internal projects. She spends a lot of time figuring out why things don't work and how to fix them! Hosting - "Q&A w Microsoft"
Laura is the COO of Mobilize where she is responsible for Sales, Marketing and Operations. Previously, she was the CEO of Catch.com, which she sold to Apple, and before that was the CEO of SugarSync, where she grew the business from zero revenue and 13 people to $20M and 75 people. She's also held executive positions at Check Point/ZoneAlarm, Yahoo, and Netscape. Laura received her MBA from Harvard and MSFS from Georgetown as well as an A.B. from Dartmouth. Presenting - "How to Mobilize your Developer Community"
Jessica Tremblay is a front end developer and visual designer currently working for IBM. From Geocities sites to cognitive applications for IBM Watson, she has been developing and designing for the web for over 10 years. Jessica developed and is currently running a front-end development focused education program for IBM developers and designers called FEDucation. She is also the Technical Director of the local AIGA Austin board and has an obsession with all things cats. Living and working in Austin, TX she continues to champion best web and design practices throughout her work and side projects. Sam Richard, better known as Snugug throughout the Internet, is a developer with design tendencies and a love of building open source tools to help with both. Sam geeks out on content strategy, team process, and cultural transformation. When not at work, he is the author of North, a co-founder of SassConf, and an accomplished bacon connoisseur. Co-Presenting - "Finding Community: Building FED@IBM"
Summary: Much of the work we do as DevRellians looks the same from company to company: we create content, we write code, we do outreach. But there are key differences between how we and our teams operate in different business spaces (consumer, enterprise, open source) and with different types and size of community that require tailored approaches. This talk will cover some of the things you may see as your community grows and changes in nature, and how you can adapt to serve the community you have, while preparing for what it can become. Summary: Instead of treating DevRel like a separate function, why not build it into engineering teams? After nearly two decades of a development process for Microsoft browsers that was opaque to the world, Microsoft decided to form a team to build “windows” (see what I did there?) into the engineering process so that the outside world could see what’s happening, contribute, and influence the process. Charles will discuss what he’s learned while making this transition towards openness within a large company, and the joys and perils of integrating DevRel with software engineering teams. Summary: The Kansas City Google Developer Group runs a dev conference that has doubled in size each year for the past five years, fostering inclusivity and participants from far west as California and far east as the Ukraine. Learn how they’ve done it and gain tips for proactively engaging user group communities – without waiting for them to come to you. Summary: You've found your developers, you've got your product in their hands. Now what? Welcome to the wonderful world of feedback where developers finally start telling you how they really feel. Summary: To help a community grow, its members need access to educational events and those that allow them to create and apply this knowledge. This presentation will address some of the opportunities and challenges of growing communities, especially in new technologies, for both the tech developer and for those from traditionally non-technical industries that are looking to ‘hack’ how they develop solutions and do business. 12:30 - 1:30 pm - Lunch and Lightening Talks - Unscripted and Moderated, 5 mins each! Summary: Hear from the experts in community mobilization on how best to grow and engage your developer community. Learn about an optimized work flow, tools and techniques to mobilize your developers. Summary: Dan will discuss the philosophy and drivers of the Web Developer Advocacy team at Samsung Internet including the symbiotic relationship with web standards, as well as how developer advocates can help foster a culture of diversity and inclusion. Summary: Delivering an engaging and memorable presentation can be hard. We’ll make it easier by covering 5 top tips for doing it better. In this 30-minute session, we'll touch on delivery, choosing the right level of content, the power in “remove to improve,” and leaving your audience with an action plan. Summary: Communicating with Developers in the 21st century - In this talk, I will demonstrate how to unconventionally start conversations with Developers and Security Researchers. From there I will show you the tools I use to keep those relationships healthy and strong. Summary: Growth powers product development and good products drive growth. I will talk about a framework for understanding how product and growth work together, and four strategies for engaging with developers that get the most output from both. Summary: Robert will share learnings and experiences from doing Developer Relations at Mozilla and Google, talking about developer interaction, types of developer personas, why acknowledgement is key, and more. Summary: WWC ATL team created their first tech conference with astounding success. Beth and Angel will talk about what it takes to create a true technical event where everyone feels comfortable and included, regardless of level of technical experience, gender, sexual orientation, race, nationality, accessibility or other groups of identity. Summary : Three years ago, the front-end developer community at IBM was all but nonexistent. Practitioners were scattered, often not doing FED (Front End Development) work. Change was needed. Jessica, Sam, and a handful of others stepped up, laid the groundwork for a community and for change, and have transformed the perception of FED at IBM. From how it got started, to how it lives now, and spotlighting two key enablement programs, we'll bring you through how we found community and helped build the global FED@IBM program. Summary: Makerologist will be showing us how to assemble, program, and even get a robot humanoid named JD to dance using the EZ Robot platform. To make it even better, you will accomplish all of this in just one hour no matter what your hardware skill level. It truly is that easy! The Makerologist team is comprised of tech and education industry professionals who are passionate about using technology to positively influence the way we live. The Makerologist team brings a combined 9 years of STEM education, 15 years of electrical engineering experience, and 24 years of industrial design. Check out what we did in 2016.